Today this equipment consists of, among other things, an Aimpoint laser light module, ballistic eye protection, first aid kit, combat vest and Personal Role Radio. The Combat Centre recently sent a team to monitor Danish Infantry Company throughout its recent six month tour of Afghanistan to report back on injuries attributable to the heavy loads being carried by troops. The official report, found that 10 to 15 percent of the company suffered permanent debilitating injures due to heavy loads, injuries that they will have to live with for the rest of their lives. 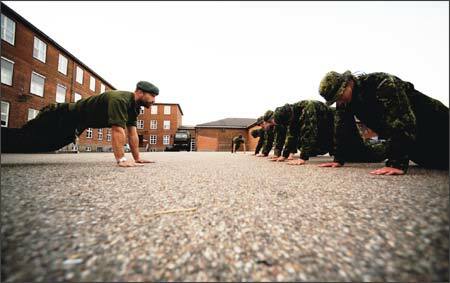 It is currently only possible to provide physiotherapy in Denmark either while soldiers are on leave or after they return from their tour of duty. The Combat Centre’s solution is that a physiotherapist be embedded with the unit when deployed. Further short term recommendations are for combat identification and well as to better understand the need for observation equipment at lower tactical levels.